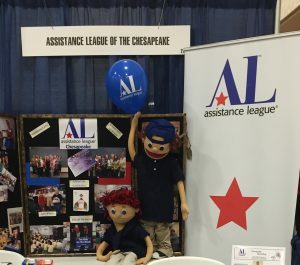 The members of Assistance League of the Chesapeake have one fundamental purpose: to strengthen our community through programs helping children, families and senior citizens. 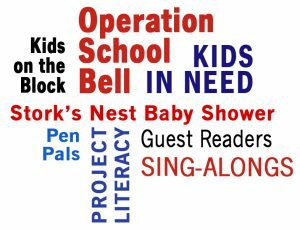 We are part of National Assistance League—an all-volunteer organization with over 23,000 members in 120 chapters across the United States. Over the life of our chapter, we’ve served 200,000 children and seniors and contributed over 100,000 hours of service in Anne Arundel County. Click on more numbers at left to learn more about what we have accomplished. 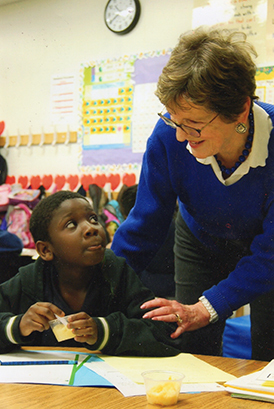 Assistance League of the Chesapeake members volunteered 4,500 hours at our partner schools through our Project Literacy program. 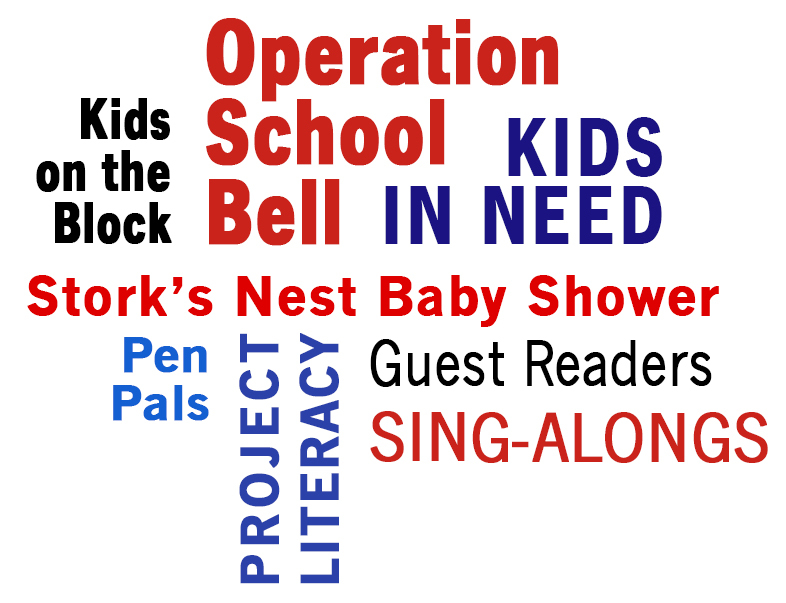 Our volunteers staff a monthly guest reader program, tutor children, work in classrooms, sponsor literacy-based enrichment programs, donate books to students, and organize several enrichment activities (like our Pen Pal activity) that promote positive behaviors for effective learning. 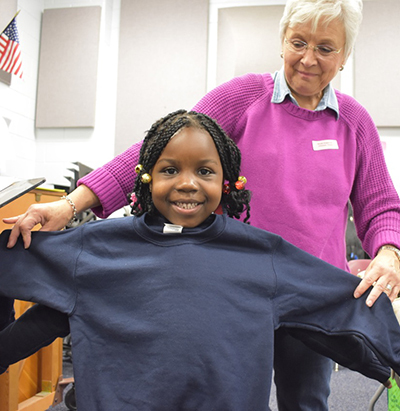 In 2017, our chapter’s Kids In Need program gave 2,464 uniforms to 1,922 students at seven Title 1 schools in Anne Arundel County. Parents and teachers at these public schools voted to have the students wear uniforms. A complete uniform includes pants, a shirt and sweatshirt, underwear, socks and toiletries. 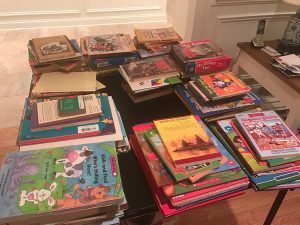 Assistance League of the Chesapeake gave 1,000 books to students at our partner schools. Every student received a book to read over the summer. 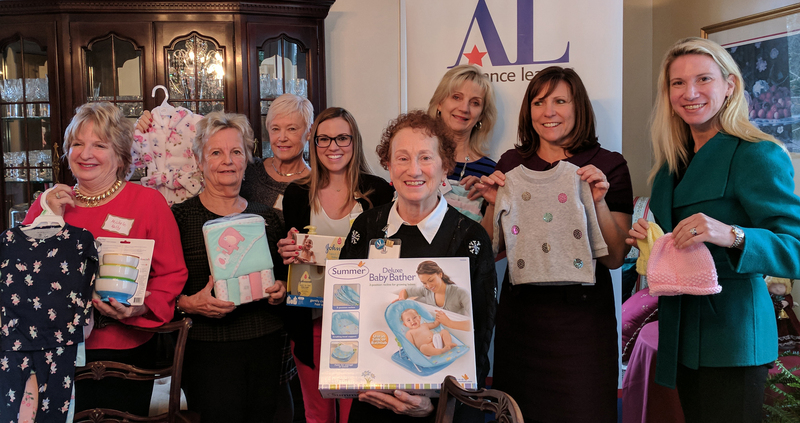 Our members donated $4,000 in supplies for expectant mothers to the Stork’s Nest redemption store at Baltimore Washington Medical Center. We do this annually at our Stork’s Nest Baby Shower. This initiative is part of the Center’s prenatal health initiatives program for underserved women. Young mothers attend classes on parenting and earn points that they redeem at the store for needed supplies. Thirty-two students wrote 96 letters to their pen pals in this Assistance League of the Chesapeake-sponsored activity, which helped students hone their reading and writing skills. Below is one of the letters received by a student at Georgetown East Elementary School. My name is Lilly. I love making friends. And I’m having a new member in my family too. My favorite color is red. I have friends too! I have 4 friends. What is your favorite season? Mine is summer. What’s your favorite animal? And your picture is wonderful! One more question. Are you a boy or a girl? You are AMAZING! Our chapter held 19 sing-alongs for over 400 seniors at local assisted living and nursing home residences. Residents enjoy songs they remember from their youth, providing encouragement and companionship. 250 students at 9 schools in Anne Arundel County enjoyed our Kids On the Block puppeteers. This educational puppet troupe brings life-size puppets to visit elementary school classrooms throughout the county to talk with students about cultural differences, bullying and learning disabilities. The targeted scripts help children accept individual differences and learn valuable social skills.